The Philadelphia Eagles appear poised to poach some talent from the NFC West once free agency opens on Tuesday, while at the same time keep some of their own. According to reports from ESPN, the Eagles will sign former Seattle Seahawks cornerback Byron Maxwell and long-time San Francisco 49ers running back Frank Gore once they officially become free agents Tuesday. The Eagles have reportedly also re-signed backup quarterback Mark Sanchez. Maxwell’s contract will reportedly be for five years and around $54 million, with as much as $25 million guaranteed. Gore meanwhile, is expected to sign a three-year deal worth $15 million, half of which is expected to be guaranteed. And Sanchez's new deal is reportedly worth $16 million over two years, with $5.5 million guaranteed. Maxwell, 27, finished last year with 39 tackles, two interceptions, and 12 pass defences playing opposite Richard Sherman in the Seahawks backfield. In four seasons with Seattle, the former sixth-rounder has 82 tackles, six interceptions, and 27 pass defences. 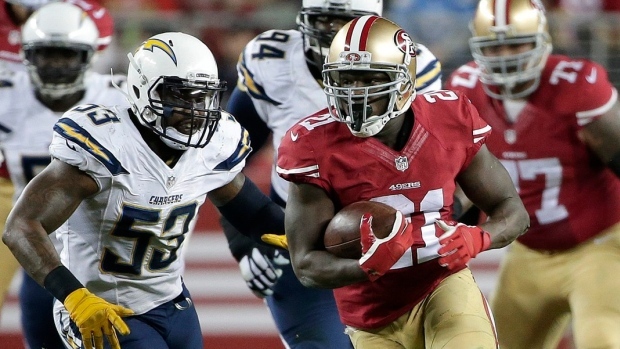 Gore, 31, has played his entire 10-year career with the 49ers. He has eight 1,000-yard seasons including last year when he rushed for 1,106 and four touchdowns. In 148 career regular season games, Gore has 11,073 yards and 64 rushing touchdowns. With Nick Foles injury last season, Sanchez appeared in nine games. The 28-year-old threw for 2,418 yards and 14 touchdowns to 11 interceptions.